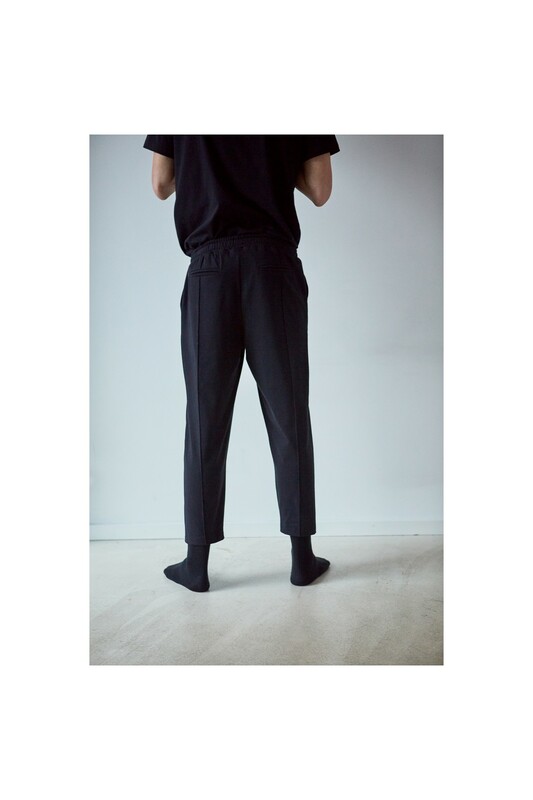 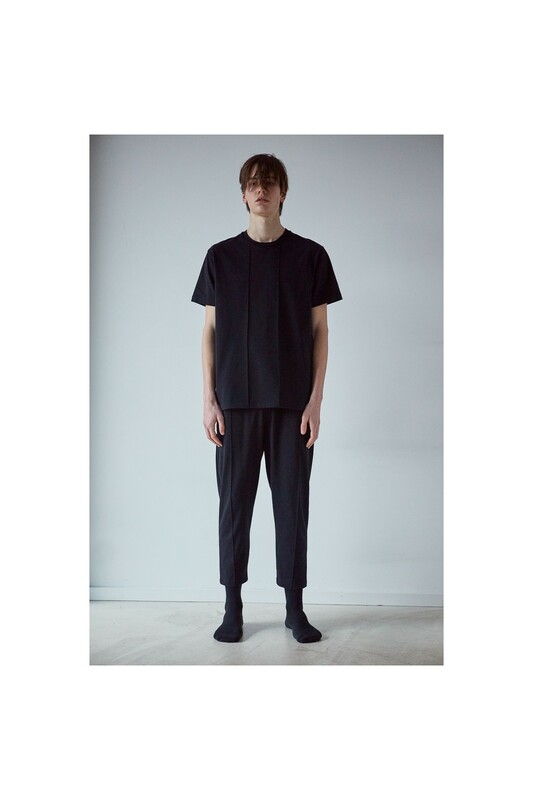 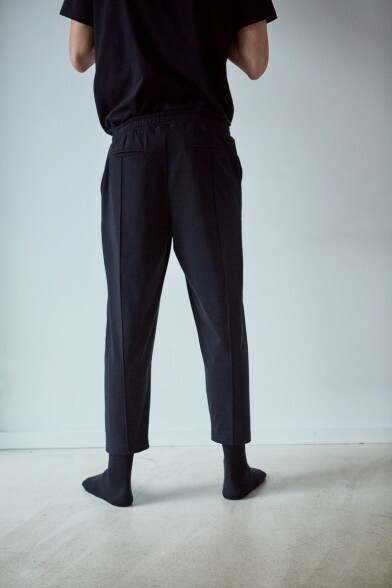 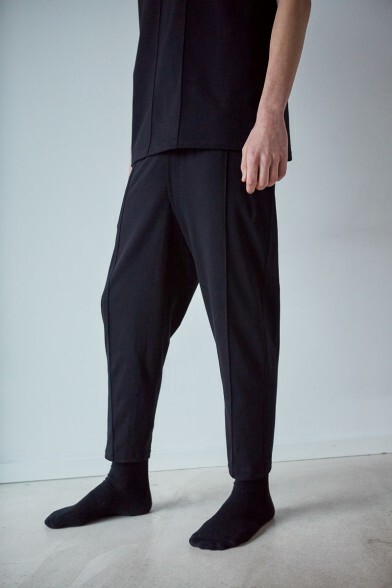 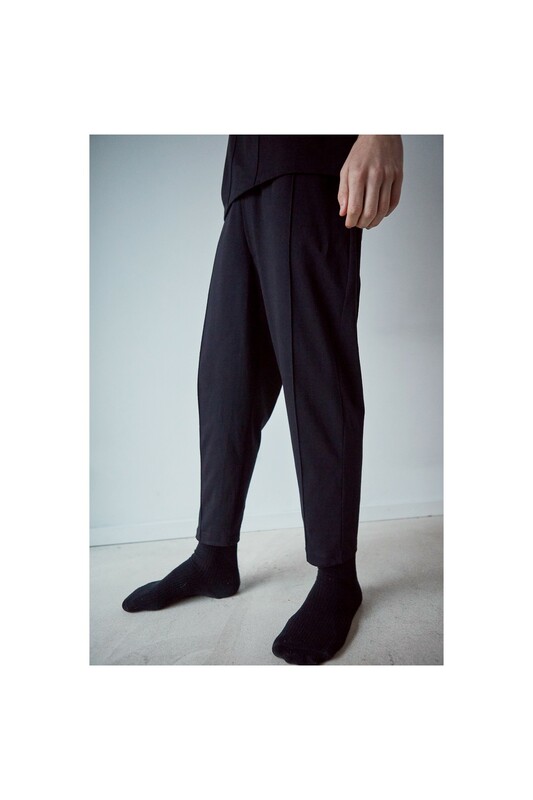 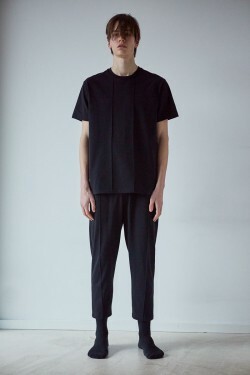 Ashley Marc Hovelle black 100% cotton trousers in heavy weight paper touch fabric which adds structure to the silhouette. 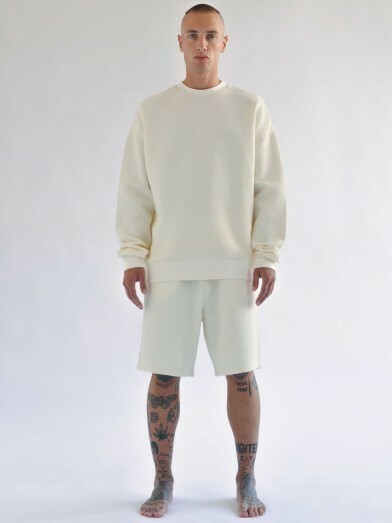 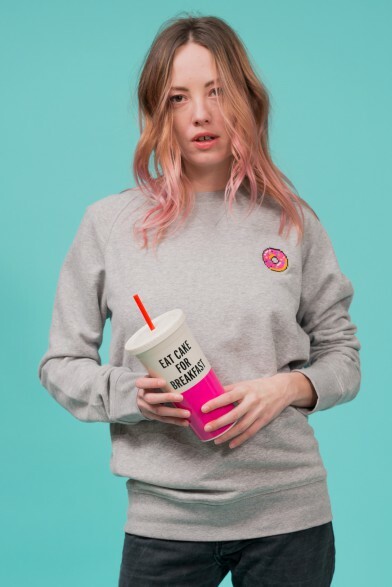 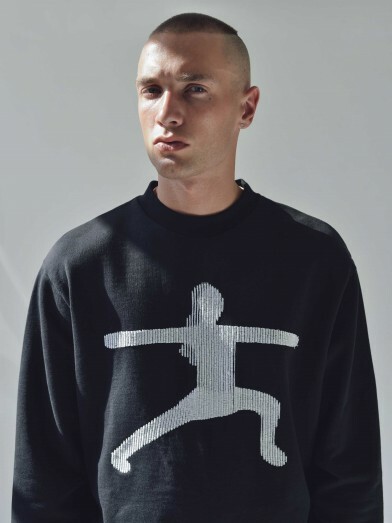 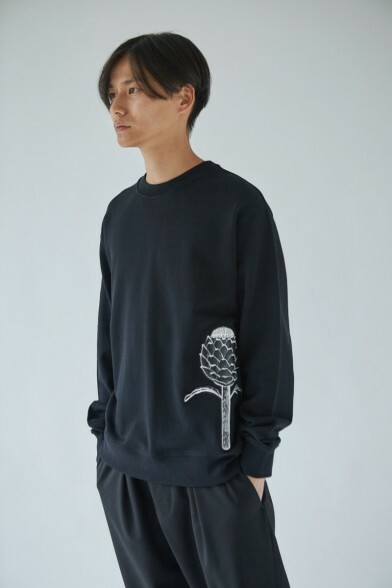 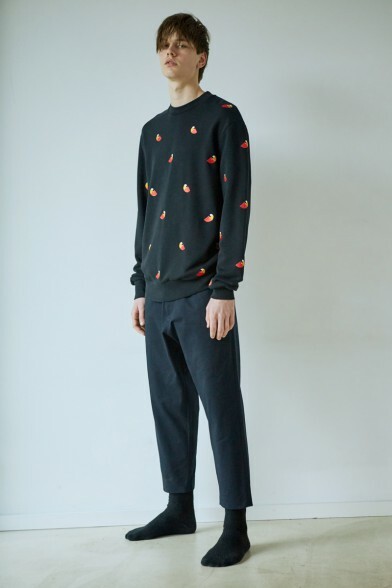 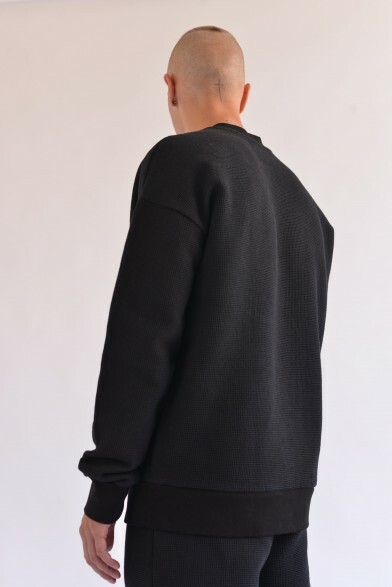 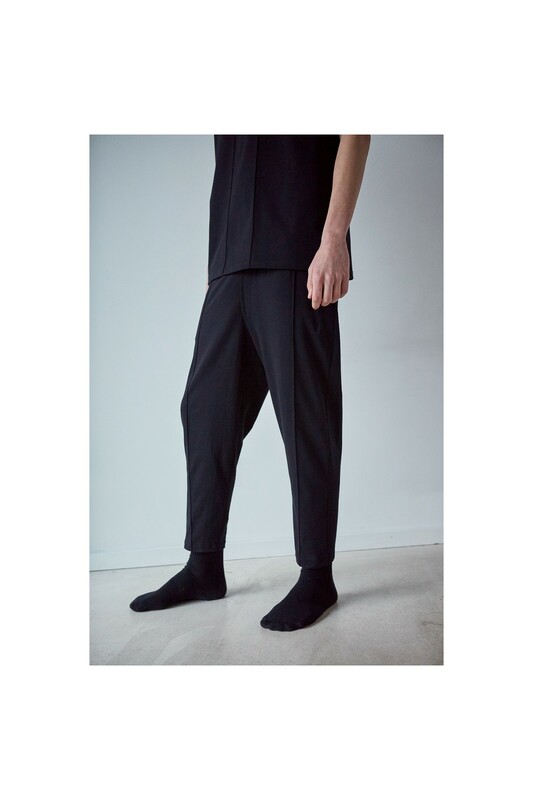 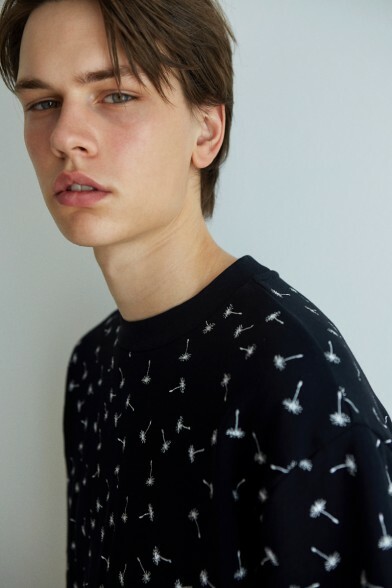 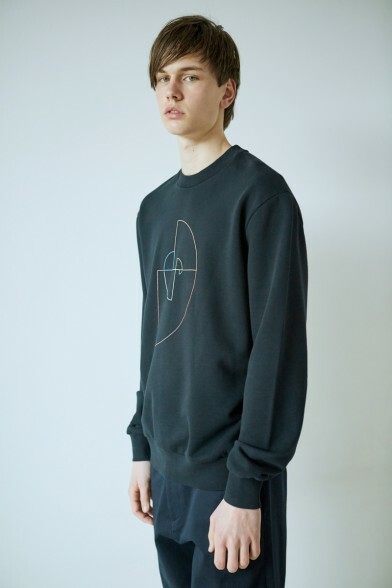 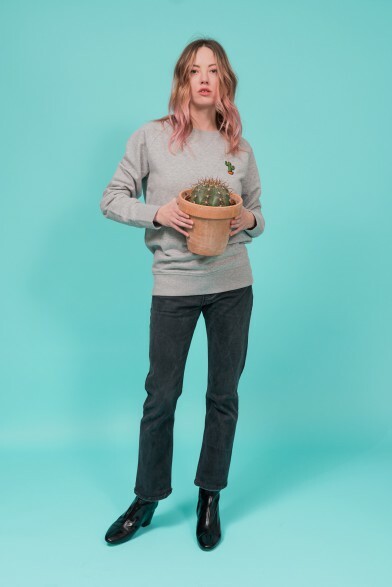 Tailored jersey trouser hybrid with pleated front and back, invisible functioning zip fly with elasticated shirred waistband, with darts and welt pockets at rear. 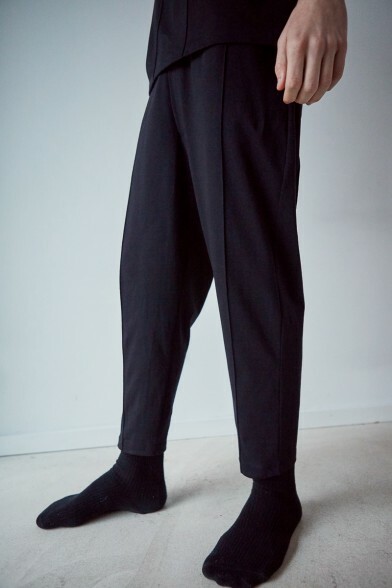 Jetted side entry pockets.